What tropical fantasy doesn’t include this scene? 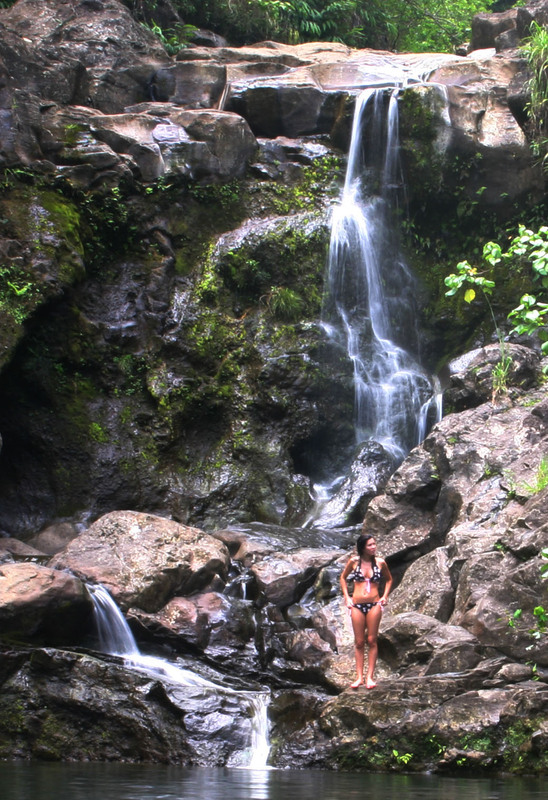 There are loads of spectacular waterfalls with pools along the North Shore and Road to Hana. The Waterfalls category will show you our favorites. Jaws is a huge tow-in surf break on the North Shore of Maui that sports the worlds largest surfable waves. The summit of Haleakala ranks among the very best sites in the world for viewing the night sky. Even if you’re not normally a stargazer, the view of the night sky from here is unforgettably out of this world! The Black Sand beach at Wai’anapanapa in Hana is a big draw for many visitors – there is something about black sand that fascinates folks. Another far lesser known black sand beach is Oneuli Beach in Wailea. There are many more “unknown” black sand beaches between Hana and Wailea just waiting to be discovered by the adventurous. 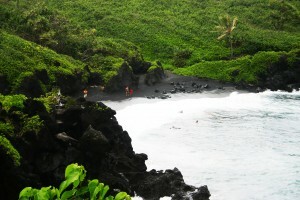 MG will have at least two more lesser-known black sand beaches soon! Past Makena, at the end of the road is the ‘Ahihi-Kiana’u Reserve area, large stretches of Maui’s most recent lava flow can be viewed here. Hikes in this area have been suspended, but the view is still striking. These flows can also be viewed from the Ulapalakua area just past Kula as you finish the tour around the backside from Hana – or if you’re visiting the winery. 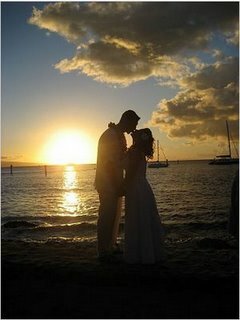 What could be more romantic than saying your vows (or renewing them) on the beach in Maui? I have a good friend in the industry if you need some direction, just contact me. A blowhole is hole in the ground that connects to an underground, partially submerged ocean cave. The cave and opening are shaped in such a way that when the ocean rises or waves crash into it, a jet of water shoots into the air. Maui has two notable blowholes, including: Nakalele Blowhole in West Maui and Waianapanapa in Hana. The northern side of West Maui has been called “West Maui’s Road to Hana” – while I don’t know about all of that (sorry, not even close), it is a special drive that no adventurer should miss. If winding narrow roads at the edges of cliffs make you nervous, you’d best skip this one – although driving clockwise puts you on the “body-shop side” of a miscalculation (rather than the “free-fall-plunge-o-death” the guy coming the other way will experience.) There are many stops along the way and the majority of this trip is largely for driving and sightseeing enjoyment. 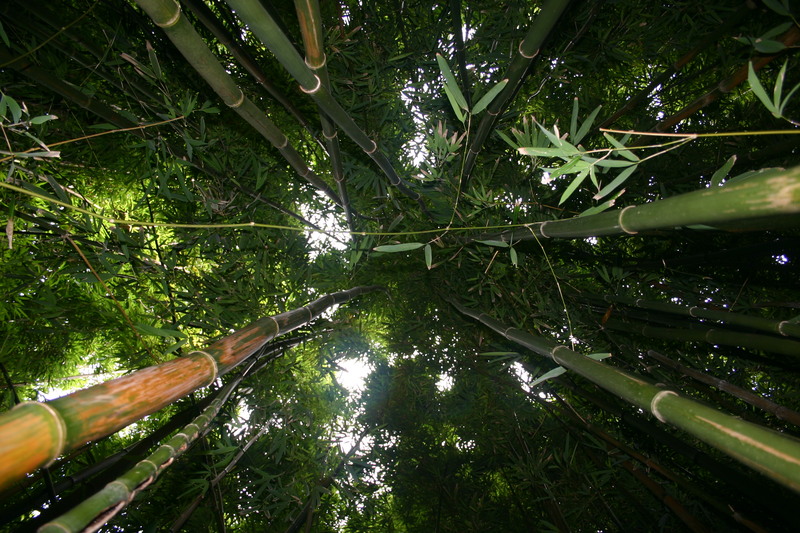 The ambiance and hollow percussive sounds of bamboo striking one another transports people to a zen nether-world. The most popular bamboo forest hike through gigantic bamboo stalks is just past Hana at the Pipiwai Trail. A shorter hike (with correspondingly shorter bamboo) is one of the first waterfall hikes on the Road to Hana at the Nailiilihaele Stream & Waterfall Hike.